Millennials today are confused about who to vote for and even whether they should vote or not. There exists a lack of enthusiasm and political participation among youths of 18-25. 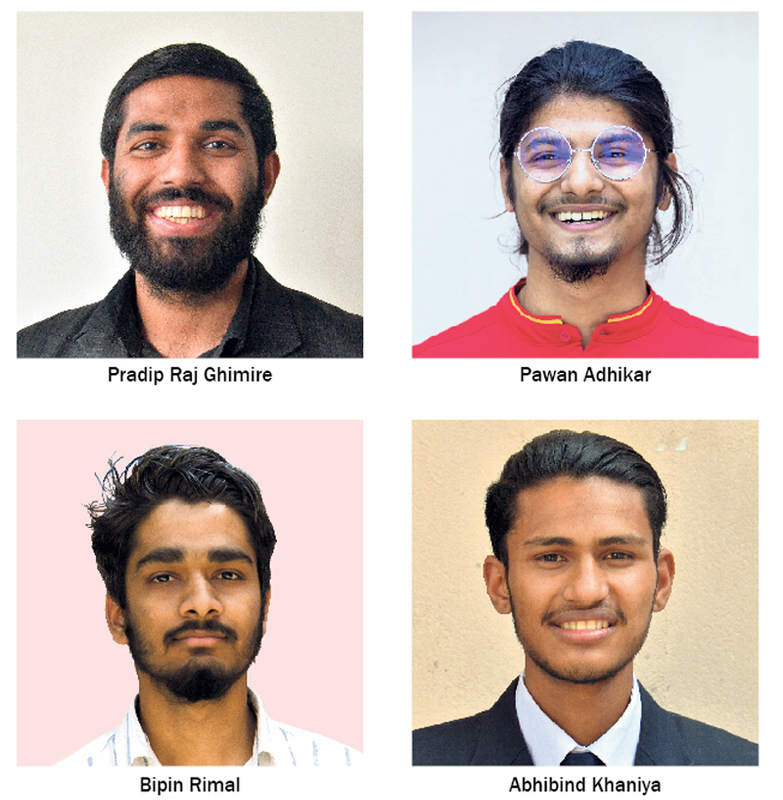 Republica’s Shuvechchha Ghimire invited four proficient debaters—Pradeep Raj Ghimire, Pawan Acharya, Abhibind Khaniya and Bipin Rimal to talk about the elections. What factors will you consider while choosing your candidate? Pradeep: Local elections are more about identifying the right leader than political ideologies. Ideally, I would read the candidate’s manifesto and decide. I would analyze the candidate’s background, political lineation and attend public hearings, so that I can take a final decision. Pawan: Manifestos have far-fetched ideas. Commitments like raising per capita income of average Nepali to $5,000 are vague and hard to achieve. In regards to local elections, however, their past activities, commitments, experiences and educational background should be taken into consideration. Bipin: It’s important to note what political approach/attitude the candidate have. Owing to apparent failure of the Maoist revolution in Nepal, it might not be wise to go with far-fetched commitments made in the manifestos. Abhinind: In the local elections, the candidates are people that we already know. In rural areas especially, evaluation of a candidate at personal and professional level is possible and hence more efficient. Those factors can be used to make a decision. Pradeep: Youths tend to follow in their parents’ political affiliations, especially when they have just become eligible to vote. Despite bad-mouthing candidates, people still demonstrate a hard-core loyalty to the party when it comes to elections. Also, people are biased and tend to vote for someone they know owing to a common workspace for instance, than say other eligible candidates. The key is to be honest and make informed decisions. Bipin: Parties have a tendency to use nepotism, favoritism and parental legacy to get swing votes from youths. In such a scenario, it does not make sense to be inside or outside the system. After all, we cannot expect everyone to be rational in making informed choices, which is why I’m not going to vote. Pawan: I recall an instance where my grandmother, a pro-communist, said that she would throw me out of the house if I joined the National Student Union (NSU). I think the idea is for you to be a proud Nepali; you need to evaluate your candidates and chose one that you believe can help the country prosper. Abhinind: I’m certainly influenced by my dad who is a leader at Rastriya Prajantra Party. Also because our ideologies were groomed in a similar environment, the ‘parental legacy’ aspect will still be present. Should we have the right to ‘No Vote’? Pradeep: Voting is both a privilege and a duty. After all, the society does not lag behind just because the wrong people are ruling, it’s also when the right people stay put and do not contribute to mainstream politics. Development is a slow, gradual process. Pawan: We cannot expect massive changes through one election alone. What we can expect is a direction. I think the idea is ‘vote and rule’ rather than ‘be ruled’. It is better to have a choice rather than to be imposed one. Bipin: That does not mean that we should be forced to make a choice between leaders who are no better than the other. A ‘no vote’ means that I, a responsible adult, see the wrong being done but choose not to act on it. Abhinind: One thing to keep in mind is that boycotting the election causes more harm than good. Brexit is a prime example, where a lot of people did not participate and ended up feeling guilty about the outcome. What can be done to promote political participation of youths aged 18-25 years? Pradeep: In my opinion, there are three types of youths in regards to political awareness. The first type is the politically aware and active while the second type discusses politics over tea or dinner, but does not wish to act on it. The others do not really care about the outcome; they probably will vote only to brag about the ink on their nails and post it on Facebook. One question we need to ask is who is responsible for the rise of these tendencies in the youth. Bipin: It does not come as a surprise that youth today prefer not to talk about politics in social gatherings. In secondary school, we just have one course – Civic Sense – which oftentimes is left for self-study. From a very young age our state and society does not impose programs that encourage awareness. Abhinind: One way to address the issue is for the Election Commission to shape strict guidelines. For instance, we had a case of a minister travelling to his local hometown—to ask for votes—although strictly discouraged to do so. This gives a negative message to the younger generation, since accountability and transparency seem to be compromised in such instances. Pawan: The election was announced all of a sudden, without thoroughly evaluating the Election Commission’s preparedness to conduct such an endeavor at such short notice. What we see, because of that, is a failure on the EC’s part to encourage effective awareness programs. Should non-residential Nepali get to vote? Pawan: It is not necessary that a person living abroad is less informed or less patriotic than I am. People migrate for a lot of reasons. At a level of principal, it is essential that Nepalis living abroad vote. 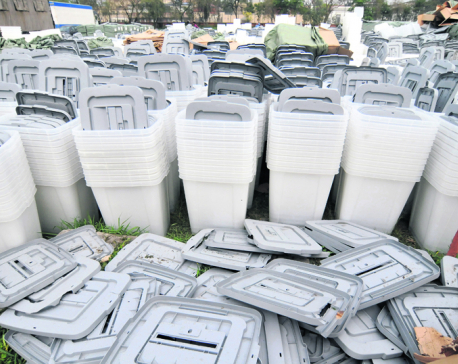 However, looking at the feasibility aspect, we do not yet have the resources—logistical, technical and financial—to get non-residential Nepali votes.